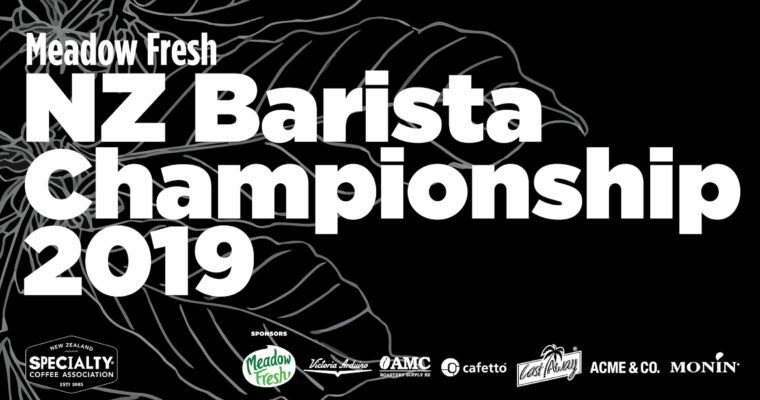 Meadow Fresh New Zealand Barista Championship 2019 – Sponsors! The Meadow Fresh New Zealand Barista Championship 2019 event is set for 2-3 February 2019 at Expressions Whirinaki in Upper Hutt, Wellington. The team at Meadow Fresh love coffee, and with over 80 million coffees made each year with Meadow Fresh milk, they think it’s important to do their part to support New Zealand’s coffee industry. That’s why they are so proud to be a long-time supporter of the NZSCA, and are excited to be the naming rights sponsor of the 2019 New Zealand Barista Championship. Meadow Fresh is passionate about making the perfect flat white – and it turns out they’ve nailed it! Independent research agency Colmar Brunton found that 7/10 experienced baristas preferred using Meadow Fresh Original milk over Anchor Original milk for making a flat white. This is because Meadow Fresh makes their milk differently. Their milk is permeate free, meaning the protein levels in the milk aren’t standardised. On average, this means Meadow Fresh milk has 25% higher protein levels than the industry regulated minimums – which has awesome benefits for making coffee! 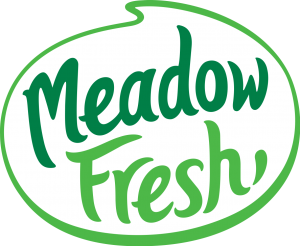 Meadow Fresh can confidently say that its milk helps baristas push coffee perfection further. Established in 1904, Victoria Arduino is a company not just rich in history, they are an organization with an uncompromising passion for improving the quality of espresso through their products. In 2013, Espresso Mechanics jumped at the opportunity to partner with one of the world’s most recognized and progressive espresso machine manufacturers and the chance to distribute their products into the NZ market. Casey, Rob and our respective teams are truly excited about sponsoring this year’s Barista Championship and can’t wait to combine our “World Class” machinery with NZ’s best talent. By now you will hopefully know AMC Roastery Supply as the place to get your Mahlkoenig, Ditting and Anfim grinders, thanks to our long-standing sponsorship of the New Zealand Coffee Championships. But did you know that our parent company is a third generation family-owned business that was first registered in 1950 by Alec Clubb, a canny ex-pat Scot who began importing coffee equipment in the 1960s? And did you also know that AMC Roastery Supply is the place to go for Diedrich coffee roasters, Actionpac packaging scales, and Fetco filter brewers? In each of the different equipment segments we supply, we have set about securing what we believe to be the best performing equipment brands in each of those segments. We try to sell solutions, not headaches. So, if you need to “Roast It, Pack It, Grind It, or Brew It” you should give Emma, Dave or Greg a call. Go on, you know you want to! Cafetto has been a long-standing and proud sponsor of the New Zealand Barista Championships since 2005. With a commitment to innovation, particularly in the area of organics and eco-friendly products, Cafetto continues to provide the New Zealand coffee industry with the most effective cleaning products across all types of coffee machines. A huge congratulations to all the competitors for making it this far! We wish you all the best of luck for the championship. Castaway® is very pleased to partner with the New Zealand Barista Championship in 2018 and 2019 as the official packaging sponsor. Castaway® Food Packaging prides itself on creating innovative packaging solutions for coffee roasters and baristas and becoming the iconic brand it is today. We aim to be a full-service coffee roasters packaging supplier, specialising in custom branding across our range of products. Our range has grown to include all types of single-use packaging products – from coffee cups and coffee bags to napkins and wipes, to carry trays and accessories. With our Australian-based facilities, we manufacture high-quality cups and lids that empower coffee professionals – delivering swift service and satisfying coffee experiences. What makes our partnership with the Meadow Fresh New Zealand Barista Championship so rewarding is our shared passion for the coffee industry and coffee excellence. We look forward to meeting everyone at the competition! Keep an eye out for our special promotional coffee cups making an appearance at the event! Wellington-based Acme & Co was founded in 2011 in order to bring colourful, durable and importantly user-friendly ceramics into the local espresso market. This year we’re expanding and introducing; a new cutlery range + an updated take on our classic teaspoon, a new range of Porcelain cups and bringing back the classic Diner cup range. We love sponsoring the New Zealand Speciality Coffee Associations events and supporting this amazing community. By gifting our wares to the competitors and volunteers, it’s our way of giving thanks to all of the hard work they put in. MONIN is the world’s leading producer of the finest flavoured syrups, gourmet sauces, fruit purees & frappe powders. With more than 140 flavours in New Zealand, all made from premium and authentic ingredients, MONIN ensure the ultimate taste and ultimate creativity for successful speciality food and beverage solutions. No wonder why MONIN is the trusted brand of choice among bartenders and baristas worldwide! We look forward to communicating with MONIN fans in NZ. Free public entry for spectators, come on down and join us!